What’s the Best Dog Food For Boxer Puppies? Are they large dogs? Are they medium dogs? Well, they’re certainly not small! We can’t resist Boxers, and if you’ve got one, you’ll know that these medium-large bundles of love are as lean and fit as dogs come. Not to mention enchantingly faithful, playful, and (usually!) a perfect companion for other family pets. Large, strong jaws and teeth. So now that we know what makes a Boxer dinner unique, let’s take a look some of the brand names which make the very best dog foods for Boxer puppies. Boxer Dog Food: Wet Or Dry? What Is The Best Dog Food For A Boxer Adult? How much exercise does my Boxer require? Why does some of the best dog food for Boxer puppies have vegetables? They’re carnivores! So, most of us owners already know that these muscly 60-70lb dogs require lots of protein. But what else do they need to stay healthy and strong? Tasty proteins! Your target protein range should be around the 30% mark, but a little more or less is usually fine. 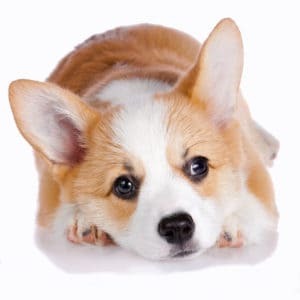 You know your puppy best, so you’ll be able to make a sound judgement based on his or her size, level of activity, and lifestyle more generally. More active dogs and larger, intact males will be in need of slightly more protein, while their smaller, female counterparts may not require as much. You’ll also want to ensure that you’re picking the best dog food for Boxer puppies in terms of fat and calorie content. Around 14% is usually just right for the former, and your Boxer puppy food should give him around 55 calories per lb of his body mass. As we’ve noted, keep your eyes peeled to ensure that your little one is getting a Boxer puppy food with chondroitin, glucosamine, and sufficient calcium for shiny and strong teeth. He’ll want something that provides him with at least 20-23% protein in each serving. As our Boxer puppies grow into handsome adults, they will need about 2000 calories daily. Of course, once again, this is only a rough measure—the more energetic and active they are, the more calories they’ll need for burning. Try and make sure that you’re not giving them too much fat, either: approximately 16% is a nice rough guide to use. While we’ve only featured dry kibbles in our reviews today, wet food does have many strong points for Boxers. First of all, just like every other dog breed, they will often welcome a change from crunchy dry food when you bring some cans home! Wet food smells super delicious for dogs, and can be a very lovely way to treat them to something nice. If you’re worried about canned food costing more, you can always alternate wet and dry food, or just top up some of Fido’s kibble with a bit of yummy wet chow. We particularly recommend wet Boxer food for both adults and puppies who don’t get a lot of water in their diets, as well as those older dogs who might lack the teeth to chew kibble. 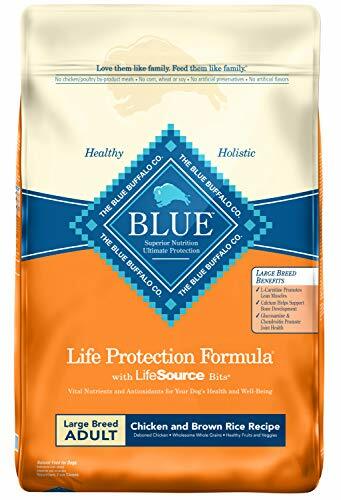 We also highly recommend it for those Boxers who get plenty of activity, as they will need to replenish fluids and minerals that they lose during these periods. So don’t worry too much about choosing between dry or wet food; as long as you follow the feeding instructions for swapping the two, you’ll be just fine! With everything we’ve already discussed in mind, here are our team’s reviews of the best dog food for Boxer puppies! You won’t find any unwanted filler carbs in Wellness Core—this is a healthy line including Boxer puppy food in grain- and gluten-free flavors. It’s specially formulated for the precise energy requirements of our little Boxer pups in terms of protein and fat percentages. We love it! Contains a reasonable (15%) amount of fat for medium-large dogs. None that we’re able to spot! 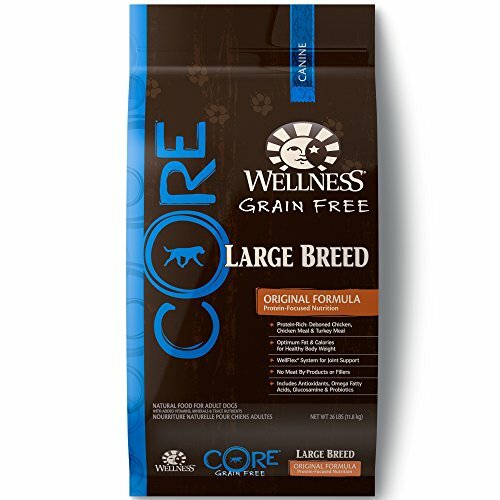 Wellness Core is a great example of a brand that makes well-rounded, balanced food for our beloved puppies. Inside this blend, you’ll also find a mix of real vegetables, and 1.3% calcium for keeping those bones as healthy as can be. 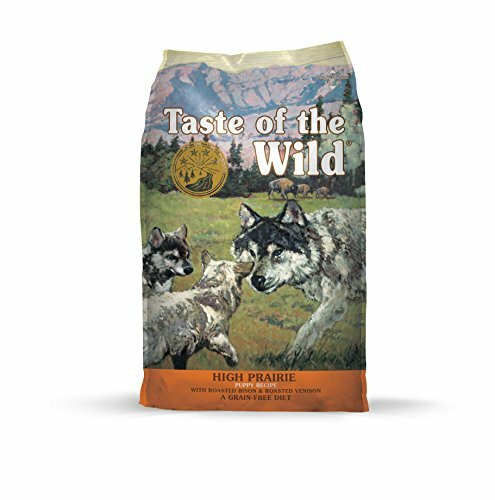 Another grain-free and delicious, mouth-watering Boxer puppy food, this blend is from Taste of the Wild. We recommend it for its genuine roasted meat content and because it includes lovely superfood berries that are packed with vitamins. Contains DHA, which is naturally occurring in salmon oil. Super, super active puppies (such as those who are training or working) may require more than the 28% protein provided. The best food for Boxer puppy growth and development is not only going to tick all the nutritional boxes, but it’s also going to have quality ingredients. This Taste of the Wild recipe meets both of our standards in this respect, so comes highly recommended! When it comes to protein-packed, top-caliber big dog food, Orijen has become an incredibly popular choice with owners worldwide. With a total 38% protein, this one’s for very active Boxer pups! All fats are non-rendered for maximum nourishment. Orijen is quite a premium brand. Because they use only the highest grade of ingredients and 85% real meat ingredients, this food is a bit more expensive than most others. If you’re after a premium, all-natural, protein-rich, and delicious Boxer puppy food, this has got to be some of the best. It includes chondroitin, glucosamine, and all the other required nutrients for our little ones’ needs. When your puppy reaches roughly the age of one, he’ll probably have outgrown his Boxer puppy food. As he’ll require slightly less in the way of fat and protein, you may want to switch him over to a grown-up recipe. Here are our top choices! 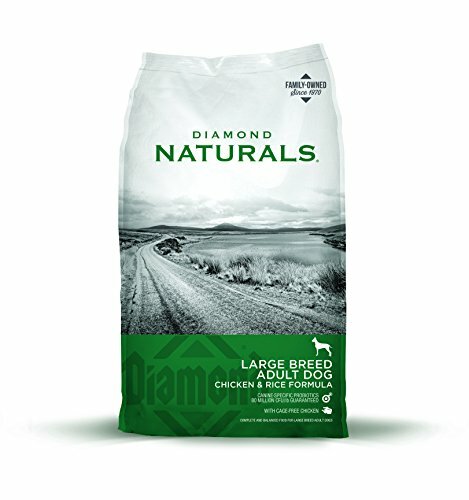 Made right here in the US of A, Diamond Naturals makes a delectable rice and chicken formula, especially for our large-breed fluffy pals. Adult Boxers will love the hearty, classic taste of authentic chicken as they tuck in for a healthy dinner. Omega acids will help to maintain your Boxer’s glossy coat. Not really, it’s even quite an economical choice. Considering that our Boxers can tend to eat lots, that’s a big plus! You’ll find a nice healthy level of protein that’s just right for maintenance. Like all the other dog foods we recommend, this Diamond Naturals blend is AAFCO approved for maintenance and includes L-Carnitine for a heart-healthy dinner. We’ve chosen Blue Buffalo’s excellent Lamb recipe this time around. Whether you’ve got a dog who’s sick of chicken, or you just want to shake it up protein-wise, this is some of the best food for a Boxer adult. Simply bursting with carefully preserved vitamins inside their special, cold-processed LifeSource Bits®. If your Boxer is lucky enough to be getting a lot of exercise, or if he’s a working dog, he may require slightly more protein than the amount that this food offers. This lamb blend has none of those gluten-containing foods that often trigger tummy problems. It’s a fresh flavor for your Boxer if he is used to eating chicken dinners, but it’s carefully designed to offer all of the same nutritional benefits. Yummy! 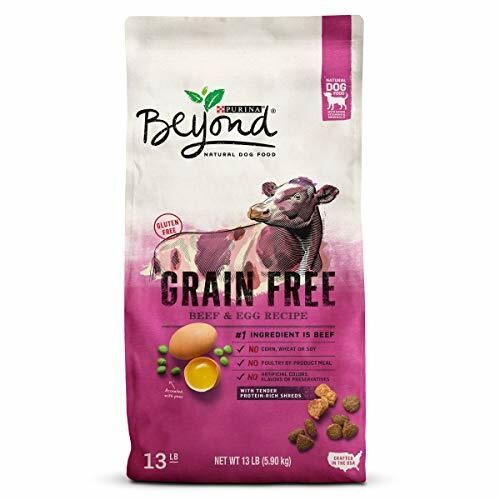 Gluten-free (and without any grains), the Purina Beyond range also includes some of the best dog food for a Boxer to chow down on. A healthy 16% fat, ideal for Boxers who get plenty of exercise. Boxers who can’t handle beef or eggs are going to need a different formula. But don’t worry, the Purina Beyond line has many different flavors to pick from! Purina has sometimes come under criticisms from pet owners for their choice of ingredients, but we adore the Beyond line of foods. If your ‘pet peeve’ with Purina is the use of by-products, this range is free of the most common fillers and artificial add-ins. As a medium-sized dog breed, Boxers need a fair amount of exercise. The most important thing to note is that your dog needs daily exercise — it’s not enough just to take one super-long walk every couple of days. Boxers, in particular, have a fair amount of lean muscle, and this needs to be kept in shape not only with the best Boxer food, but through frequent walking, play, and running. Vets typically recommend between 30 minutes and 2 hours of exercise for dogs each day, and a Boxer’s needs will be at the middle-high end of this range. But it’s no hard-and-fast rule — take note of your dog’s age and unique size. 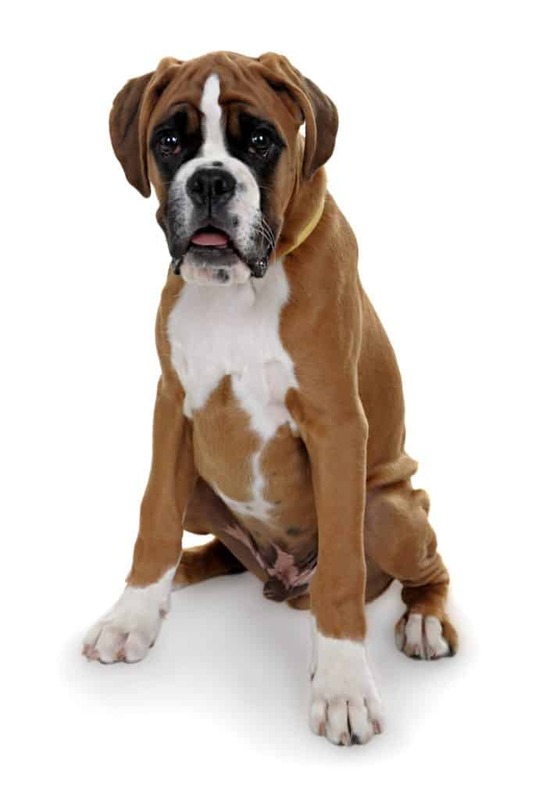 Smaller and older Boxers may require a little less than fit, adult males…and puppies will need lots more exercise. While it may sound surprising at first, the very popular belief that dogs are carnivores just isn’t 100% accurate. Like humans, canines are in fact omnivores. This means that they require meat to get all the essential amino acids for survival — but they have also evolved to digest plant matter. Vegetables and fruits are a natural way to take in the many vitamins that our puppies and dogs require to carry out normal processes. They also carry out important functions such as keeping our Boxers’ skin healthy, maintaining their cells, and clearing up free radicals. Some veggies are even great on their own, as a healthy little doggy snack!